In sunny New Mexico, solar just makes sense. Solar power is already creating good local jobs, reducing harmful pollution, and helping families save on their energy bills, but there are still plenty of New Mexicans who can't go solar today. Add your voice if you believe everyone in New Mexico should be able to go solar and save! Community solar enables families and businesses who rent, low-income families, and many others to join together and share in the electricity and cost-saving benefits of a nearby solar installation. It's like a community garden for solar power, making clean energy accessible and affordable to everyone. Just last month, New Mexico's House of Representatives passed the Community Solar Act, and now we only have a short window of time to pass the bill through the Senate and get the job done. Sign the petition now if you're with thousands of New Mexicans who want to make solar more accessible and build a clean energy economy that works for everyone! I'm a New Mexico resident and I urge you to support the Community Solar Act, HB 210. Here in sunny New Mexico, solar just makes sense. Affordable solar power is already helping to create good local jobs, reduce harmful pollution, conserve water, and reduce energy bills. However, a majority of New Mexico energy consumers, including low-income consumers and families or businesses that rent, simply cannot go solar on their own rooftops. 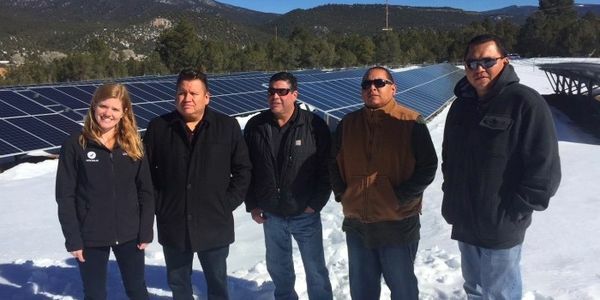 Community solar enables families, Native American tribes, non-profits, schools and businesses to join others in their community and share in the electricity and cost-saving benefits of a solar installation nearby. Please pass New Mexico's Community Solar Act to expand solar opportunity and build a clean energy economy that works for everyone! At least 19 states and D.C. have legislatively enabled statewide community solar programs to expand solar opportunity. It's time to join them by passing HB 210 and allowing community solar programs here in New Mexico.